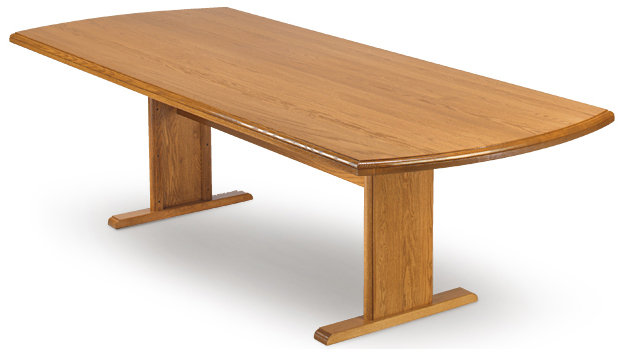 Beautiful solid wood conference tables in five finishes at affordable prices. Substantial, tapered edge treatment for style and forearm comfort. Tough 5-step hand finishing process endures rough use for years. 1" thick tops with 1-5/8" thick edge treatment. Trestle base with full length stretcher for stability. All tables measure 29-1/2" high. Ships unassembled for safety. 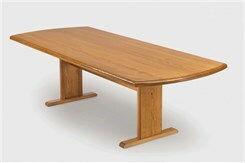 36" x 60" Solid Oak Curved End Conference Table sold above. See other sizes below. Seats up to four. Shipping weight 103 lbs. PRICE INCLUDES SHIPPING! (Truck shipment - see Terms & Conditions). Please allow 3 weeks for delivery. Seats up to six. Shipping weight 118 lbs. PRICE INCLUDES SHIPPING! (Truck shipment - see Terms & Conditions). Seats up to eight. Shipping weight 160 lbs. PRICE INCLUDES FREIGHT! (Truck shipment - see Terms & Conditions). Seats up to twelve. Shipping weight 215 lbs. PRICE INCLUDES FREIGHT! (Truck shipment - see Terms & Conditions). 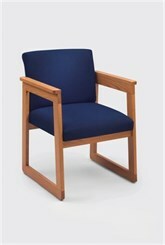 1 - 2 $289.00 ea. Comfortable guest/conference seating features solid oak frame and no-sag matrix seat support system. Easy no tool assembly. 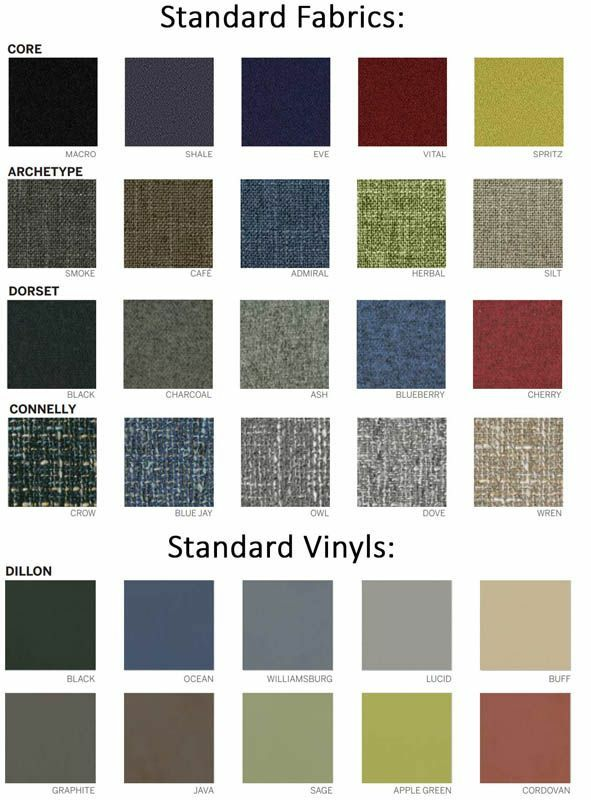 See fabrics below. 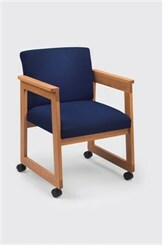 Measures 23"W x 25"D x 33"H overall. Shipping weight 30 lbs. PRICE INCLUDES FREIGHT! 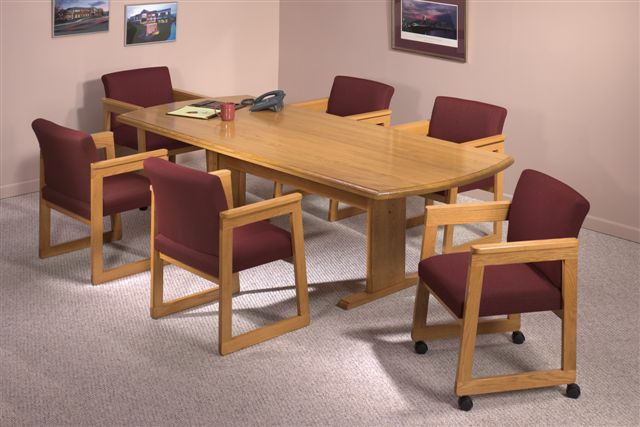 Same chair as above with dual wheel carpet casters. See swatches below. Shipping weight 30 lbs. PRICE INCLUDES FREIGHT!